Today marks exactly one year since the passing of Moses Sekibogo Nakitinje aka Moze Radio who touched millions through his music. Mowzey Radio was the most admired and respected in the Uganda Music Industry because he doubled as a singer and music writer and his voice was an icing on the cake. Neera, Leesu, Gutamiza, Hellena, Nakudata, Zuena, Magnetic, Bread and Butter, Gezagezamu, Zino Enaku and Abateesi are just some of the songs that the fallen singer was linked and just before he passed on, he released a gospel song titled Tambula Nange. Radio was one of a kind who could write lyrics for both genders, something that does not flow easily with most songwriters. 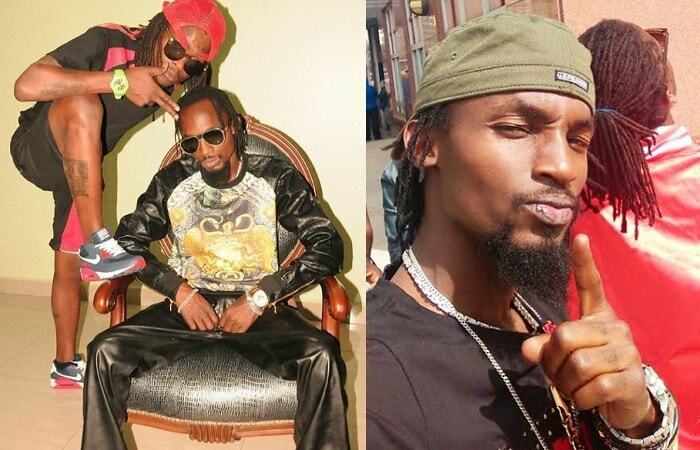 He changed a few things, including opening doors for other artists at the time when one could only talk about Bobi Wine, Chameleone and Bebe Cool, that is no longer the case and thanks goes to the late Mowzey Radio. The President was among those that tweeted when Moze Radio passed on, he also contributed handsomely towards his funeral expenses. I miss his voice, I miss his everything, I miss Radio so much. If he was here for instance regarding the new regulations for artistes, you could see his reaction. I miss his voice, his attitude towards life." "I will forever remember the moment we did the Abatesi song and wow, his voice." "He was so protective of Weasel and I recall when he came to my rescue when a fan attacked me. The other thing I remember about Weasel was when he pulled the mic from Sendi during a meeting that artists discussed the issue of UPRS." "I also remember how we argued with Mowzey Radio about God and I'm at peace because at the time of his death, he knew God." "I am doing music because of Mowzey Radio. He never wrote for me any song, but because of him and his voice, that is why I ventured into music. I miss his voice and words." Mowzey Radio's first year of passing is coming at the time when his singing partner, Weasel, is having issues with their music that they produced together, but he has vowed to perform the songs regardless.